Forex is the name of the biggest market in the world, which deals with trades of international currency. This Forex market functions non-stop during the week, with a pause during the weekend. In most cases, the Forex trading transactions are done by brokers and companies which specialize in this type of financial operation. 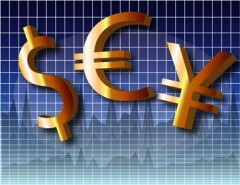 Individuals can do Forex trading with the help of a Forex broker in most cases. The Forex trading allows sellers and buyers to trade currencies from different countries for one another, in order to make a profit from the fluctuations of the exchange rates. Over two thirds of all the Forex transactions in the world are done by large companies and banks, with individuals and small companies accounting for the rest. A big part of the Forex trades are speculative in nature, as people are trying to make money from the volatility of these currencies. Their exchange rates can vary from one minute to another, so investors try to trade currencies when they have a low exchange rate and sell them when their price increases. Since there are no goods changing hands, the Forex trading is actually a barter, with currencies being compared to one another in pairs. If you want to sell Euro and you want USD in return, only the exchange rate of the two currencies is relevant for the transaction. Events can influence the exchange rates of currencies, from natural disasters to political decisions or wars. There are many things which can influence the exchange rate of a currency, so a professional Forex trader will spend a lot of time researching trends and learning about the economy of the countries which use the currencies which are traded. Since the Forex market is global and doesn’t have a certain area where it’s traded, there is a huge amount of currency traded on it on a daily basis. There are trillions of dollars worth of currency traded here, so the liquidity of this market is enormous. It helps that this market uses all the free currencies in the world for its transactions. You can pick any of the many currencies represented on the market and trade with any other currency, as long as there is someone willing to buy or sell for that pair and exchange rate. Since the market operates non-stop during the working week, even while you sleep, investors will do transactions in other parts of the world, or even in your country if they work during the night. Small traders have plenty of benefits from the Forex market, including the fact that it changes quickly, so you have new chances of making a profit, as long as you can adapt. Another one is the fact that there is a mechanism in place which is well designed, in order to control how much risk you’re taking. The Forex market also allows you to make money both when a foreign market is falling or rising, so as long as you realize what it’s going to happen, you can profit from it. If you’re a small trader, you also have the option of checking out the many options with a zero commission for trading purposes. Trading Forex is actually a form of speculation, so there will always be some risk involved. You can take some steps to make sure the risk is minimized, but in the end you are practically placing a bet that a currency will go either up or down, even though it’s usually a well founded and researched bet. Minimizing the risk can be done by having limits to just how much you invest and knowing how much of a loss you’re willing to have when the market goes the other way. If you want to be as safe as possible when you’re trading Forex, make sure you know what you’re doing. Do the research when you’re deciding on an investment and know exactly why the exchange rate will go up or down in the future. If you know the mechanism which makes the Forex market work, it’s easier to make a profit from this type of trading. It might take years before you make serious profits with Forex, so don’t think of it as a get rich quick scheme.